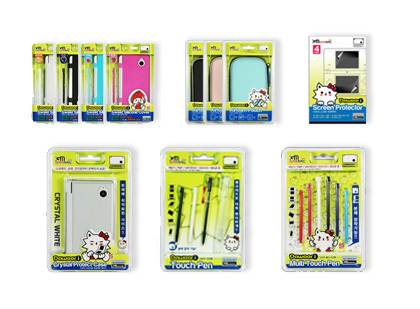 [Gammac] Play Your Life - New Dawoori accessories for DSI Released! New Dawoori accessories for DSI Released! New Design Dawoori accessories for DSI had released last week in korea! Because DSI console will be on sale in korea in april 2010, All designer in korean kyungmun had done a lot of working to prepare the accessories for DSI. The Dawoori is our new character for new products, and we develope a series of packs for new product. All Dawoori accessories will be a best gifts for our gamers with DSI!